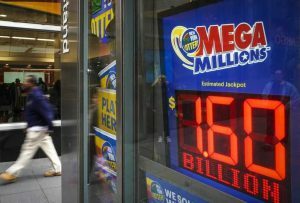 The holder of the Mega Millions ticket worth $1.537 billion ($878 million cash) hasn’t come forward yet and there is a limited amount of time until the ticket expires. In South Carolina, where the ticket was sold, Mega Millions players are required to claim their winnings in no more than 180 days. As the lucky ticket was sold in October last year, the anonymous owner has to come forward until April 21. The $1.537 billion jackpot is the largest prize won by a single player in the US lottery history, so this is a historic event. The still-anonymous player bought his ticket in KC Mart in Simsonville and managed to guess the six numbers of the October 23 draw (5, 28, 62, 65, 70), as well as the Mega Ball 5. What Happens if the Ticket Isn’t Claimed? In case the ticket is not turned in until April 21, Mega Millions will return the funds to its member states towards supporting education. Moreover, in this unfortunate situation, the state will lose over $60 million in taxes that the person would have been required to pay. The local KC Mart would also lose a $50,000 check awarded for selling the winning Mega Million ticket. There is a precedent to this unlucky situation. In 2002, a winning Mega Millions jackpot ticket with a value of $68 million remained unclaimed in New York. In 2006, a Powerball ticket bought in Georgia and worth $77 million wasn’t turned in to lottery officials on time, becoming worthless. Once again, one year later in New York, a $31 million ticket vanished! To make matters worse, the odds of winning the jackpot in Mega Millions are currently 1: 302.5 million. They used to be better before 2017 (1: 258.9 million) when the Mega Ball numbers were increased from 15 to 25. There is not a clear explanation of why the winner hasn’t come forward to claim their prize. If the person is worried about publicity, they should know that South Carolina is one of the American states that allow lottery winners to stay anonymous. However, if the ticket is lost and remains unclaimed, this historic win will go down as a huge missed opportunity. There are still two months until the deadline, so let’s hope the winner will step up and claim the life-changing prize!